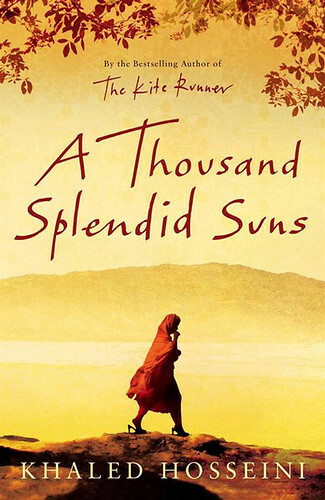 A Thousand Splendid Suns is another bestseller by Khaled Hosseini after The KiteRunner. The book is set in Afghanistan and captures devastation that war and unleashes on this land of ‘ thousand splendid suns’. The book gives a vivid account of the turmoil, unrest and hope through its characters and plot. The plot is constructed through Mariam in the initial part and is set in Herat and resides in a forest with her mother till the age of 15. Her life takes a complete ‘U ‘turn as she loses her mother and her innocence to a series of events that rock her life. The same events take her to Kabul and thus begin the saga of her struggles and sufferings. Sufferings which are the outcome of destiny, war and political unrest, shatter the peace in Mariam’s life. Hosseini brilliantly captures the trauma suffered by women ( Mariam ) in a patriarchal society when they fail to deliver a heir to the family in the form of a son. The second half of the book introduces the reader to Laila who resides close to Mariam’s house. A spate of developments knits Laila to Mariam and the two amidst their sufferings find solace in each other under one roof. Somewhere the author recaptures the notion that ‘destruction leads to creation’, be it life, individuals or society. The book ends on this notion coupled with the fact that everything is cyclic in nature. The author’s lament of a ‘Paradise Lost‘ (Afghanistan) can be seen in the picturesque description of the forest, city of Herat and Kabul. Pangs of pain can be felt in the lines which describe the struggle for power between the different warlords in Kabul and the destruction unleashed by their artillery on the masses residing the city. The plots is well knit and meanders along through changing landscapes of emotions and characters. The language is lucid and the reader gets to visualize numerous instances written in the book with ease. 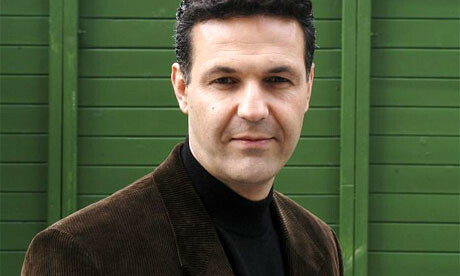 That is where Hosseini scores as an author! The book is a must read for all those who believe war can be a solution to all problems. It might solve or two but in the doing so it creates many more, the effect and trauma of which are felt for generations together. The author ends on a note of hope, hope which floats and reiterates that in the days to come the Paradise which was lost would be found soon. I saw this book on the best sellers shelf every store I visited but it didn’t really appeal to me that time. Feel like giving it a shot after reading ur review.